Hi all, I am back with another Card Buffet! 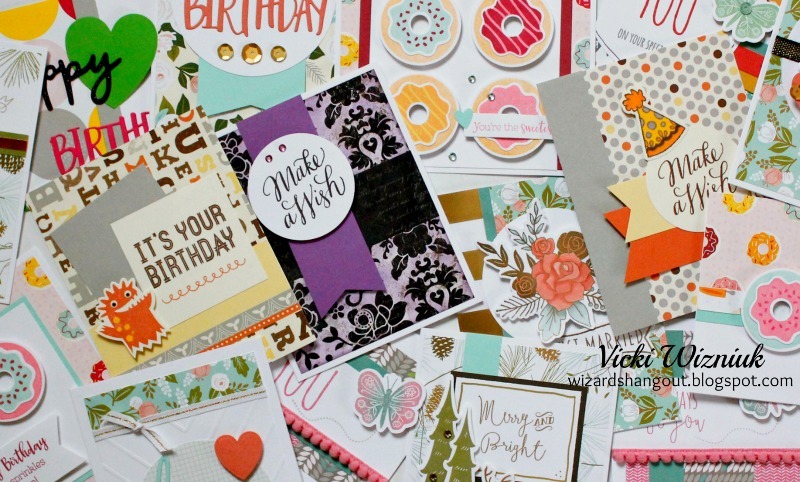 This card buffet will be held on Sunday, January 29th, from 1-3 pm at the Wizard's Hangout (my home studio). The baskets and supplies will be on the tables so everyone can start promptly at 1 pm. Then at 3 pm I will collect the baskets, and you will have a bunch of wonderful creations to take home with you. There is room for 8-10 people, so please sign up soon!